How far can Wales go at Euro 2016? 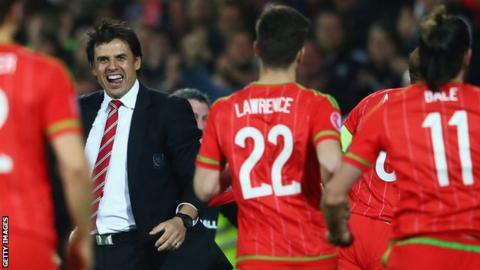 Wales' appearance at Euro 2016 will be their first at a major tournament since the 1958 World Cup. The Welsh talisman Gareth Bale believes they have a "great chance" to win it and legendary former France forward Thierry Henry thinks so too. But how realistic is it to believe they could emulate the likes of Denmark and Greece in becoming unlikely European champions? BBC Wales Sport looks at the hurdles Wales will face in France and the possible routes they could take to the final in Paris.